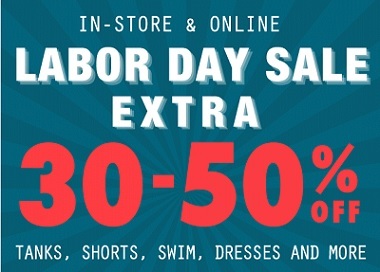 It is already possible to enjoy Labor Day Savings 2015 at Tilly's stores in the U.S. and on the official website. Take an extra 30% - 50% off already reduced prices! Source of the information is Tilly's. More information available at Tilly's stores.